HI guys! 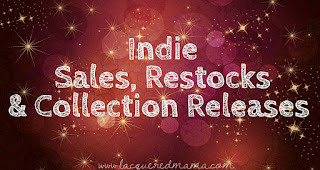 I have a new Indie to introduce to you today! 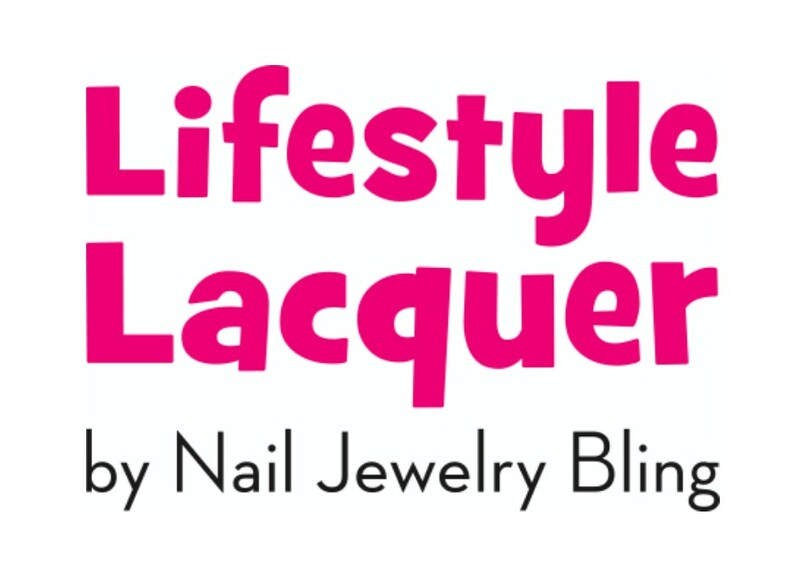 Well, not really a new Indie, but a new Indie Nail Polish Brand. 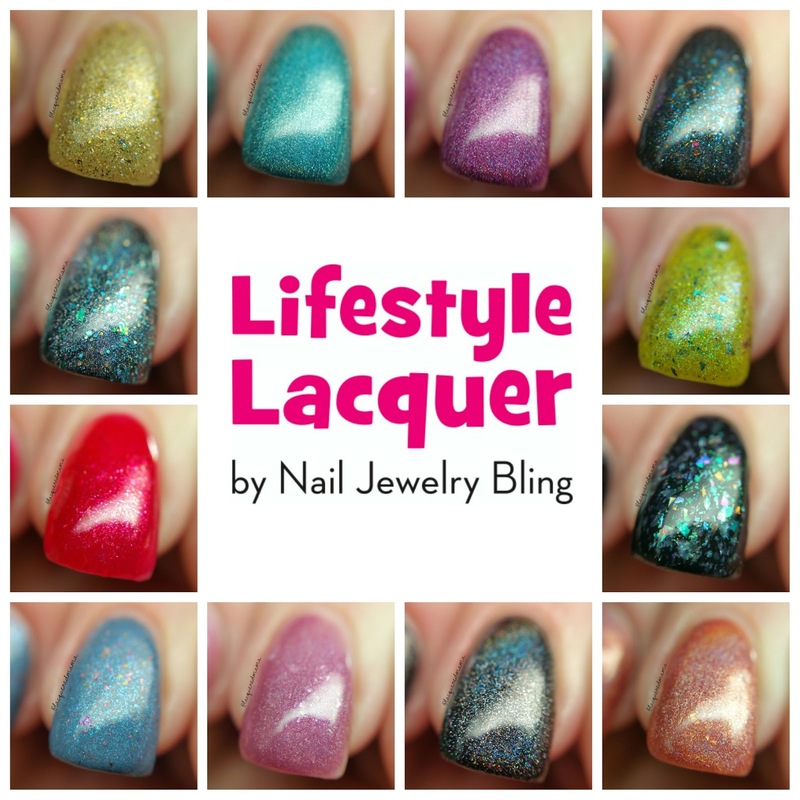 Many of you already know of Nail Jewelry Bling; they sell an assortment of nail art products like nail stencils, foils, crystals, and even custom nail sets. 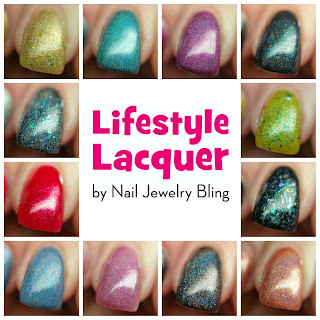 Hillary has now branched out into the polish side of the business and is debuting Lifestyle Lacquer with her first collection called "New Beginnings"! 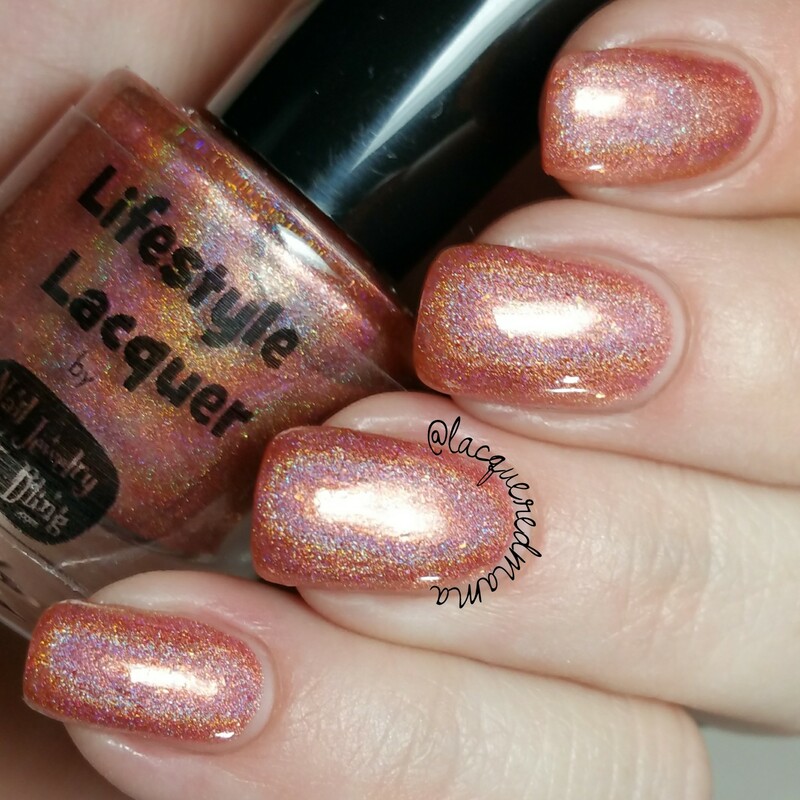 Venus' Valencia is a gorgeous coppery holo with a bit of a rosey undertone! 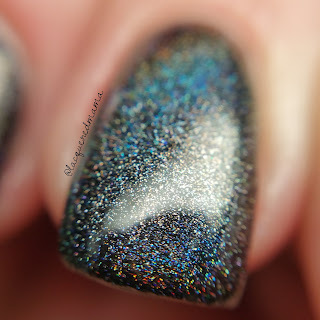 It also has a light scattering of flakies throughout. This had a great formula and was just two coats to be opaque. 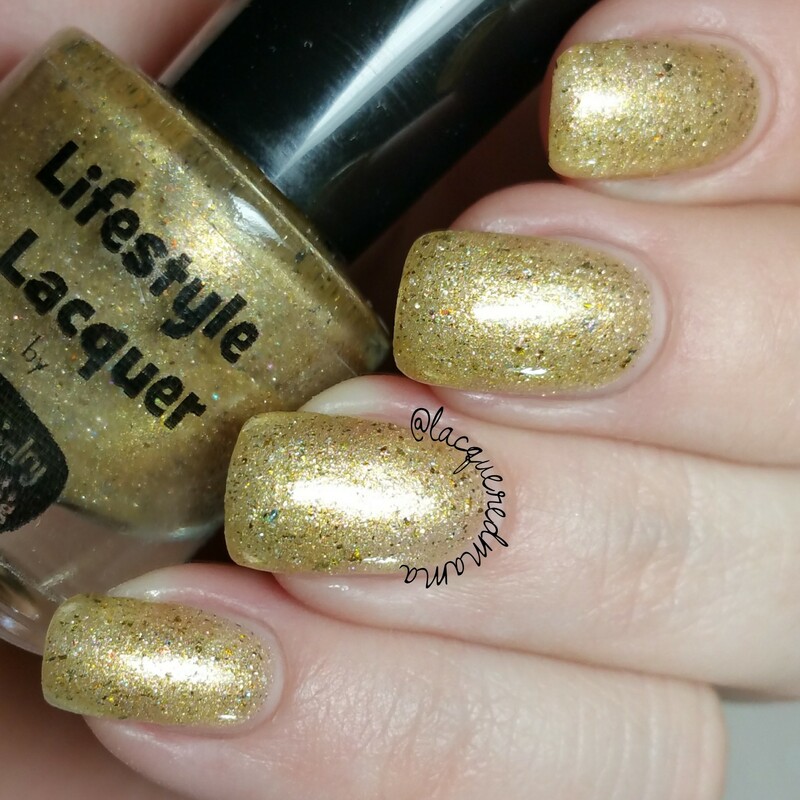 Pharaoh's Weakness is a beautiful golden yellow jelly holo with a fine micro glitter and flakies. Really pretty and a nice change from your basic gold polish. This was also just two coats plus topcoat. 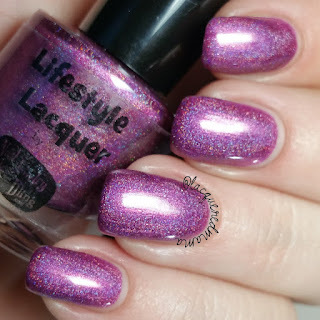 I Feel Pretty is a lovely pink toned lavender jelly holo with small flakies throughout. This one is a bit more jelly-like so it's slightly more sheer. I did just two coats plus topcoat, but depending on your application you may need a third coat. 3-5 With Good Behavior is a red based polish with a slight pink undertone and pinky red shimmer and microflakies throughout. For my photos I did two coats plus topcoat, but depending on your application, you may need a third coat. 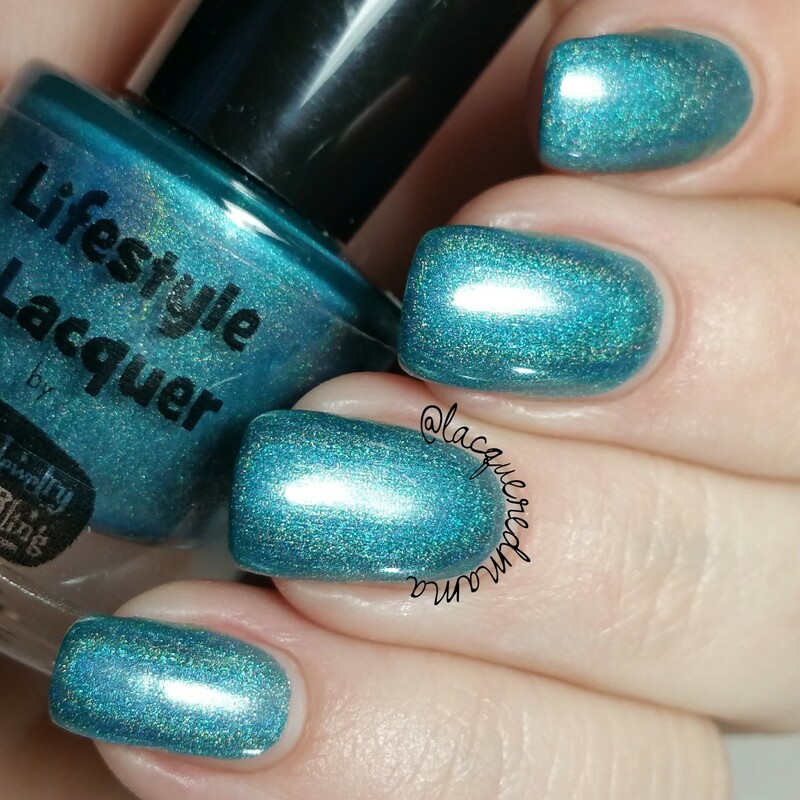 Mya is a super opaque aqua holo that opaque in just one coat. I feel like this is a true one coater and would be for anyone. I'll Be Your Huckleberry is a plumby pink holo. 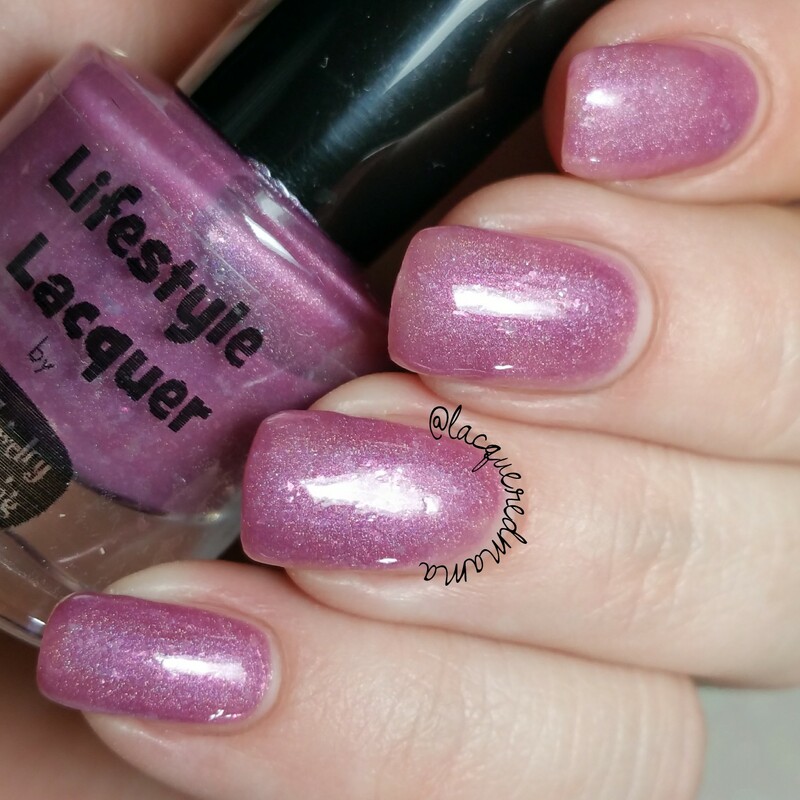 Another super smooth formula that was opaque in just two coats plus topcoat. 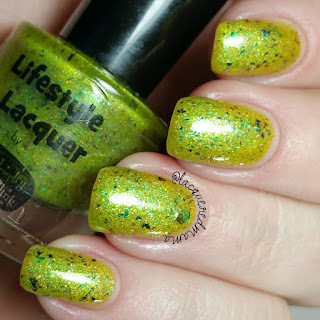 Poison Ivy is a yellowy lime holo base that's filled with turquoise to green shifting flakies. I was surprised by its opaque and non-streaky formula, since it is in that yellow color family. Here I did two coats plus topcoat, but again, depending on application you may need a third. 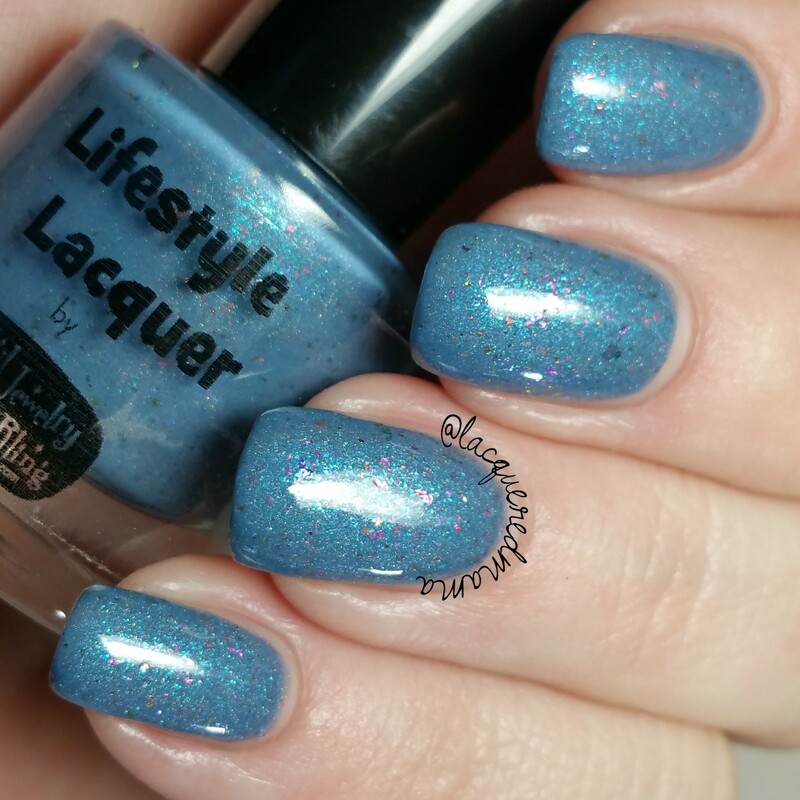 Granite Girl is a medium, dusty, denim blue scattered holo base filled with UCC multichrome flakies! So gorgeous! Here I did two plus topcoat! This would look amazing matte! Glinda is a clear jelly base filled with iridescent color shifting flakies. 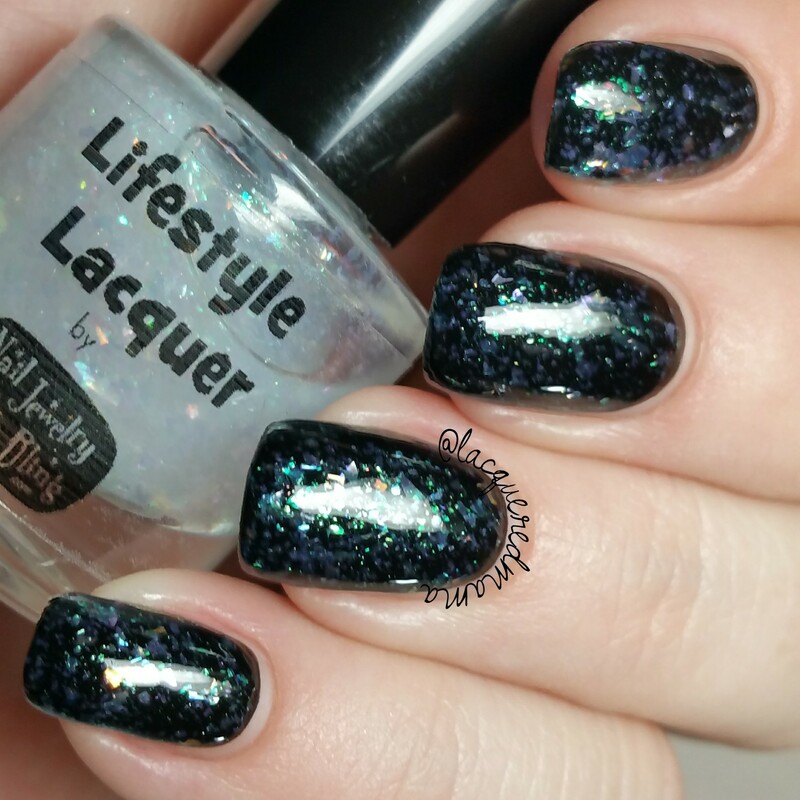 This looks light and delicate over pale bases, but really comes to life over dark ones. Here I did one coat over Vapid's Pessimist. 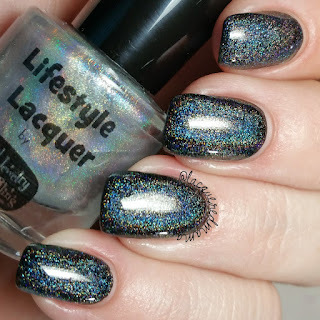 Holy Holo is a ultra holographic topcoat. 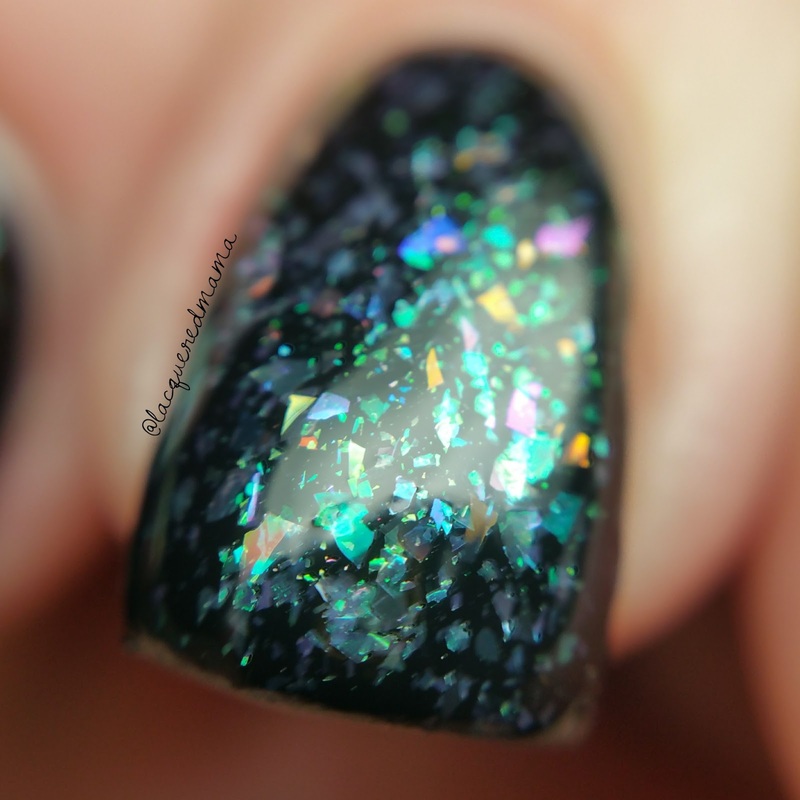 This would sparkle up any base color, but really looks amazing over darker ones. 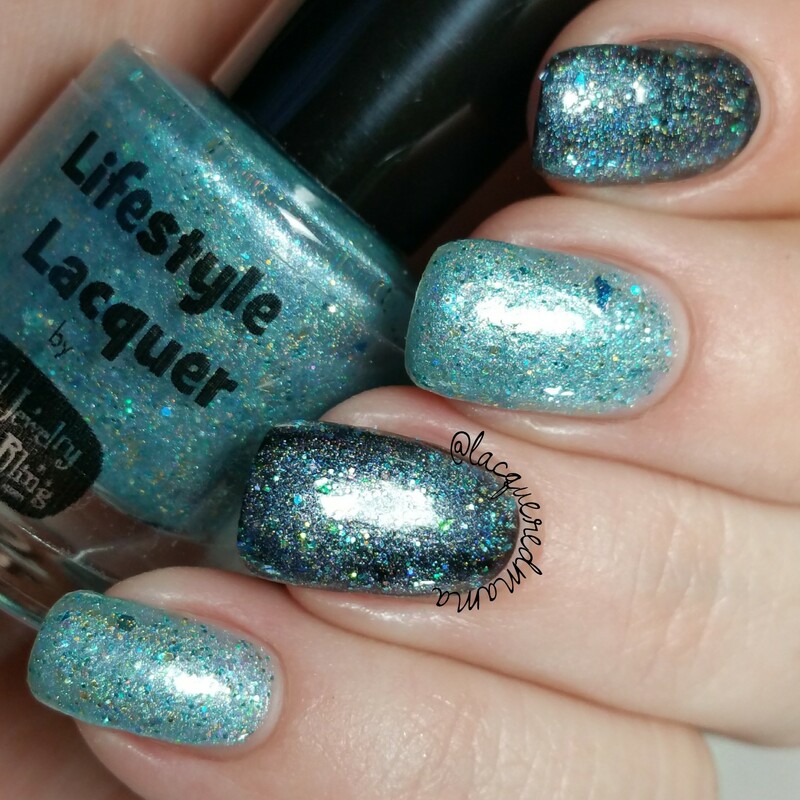 Again I did one coat over Vapid's Pessimist. 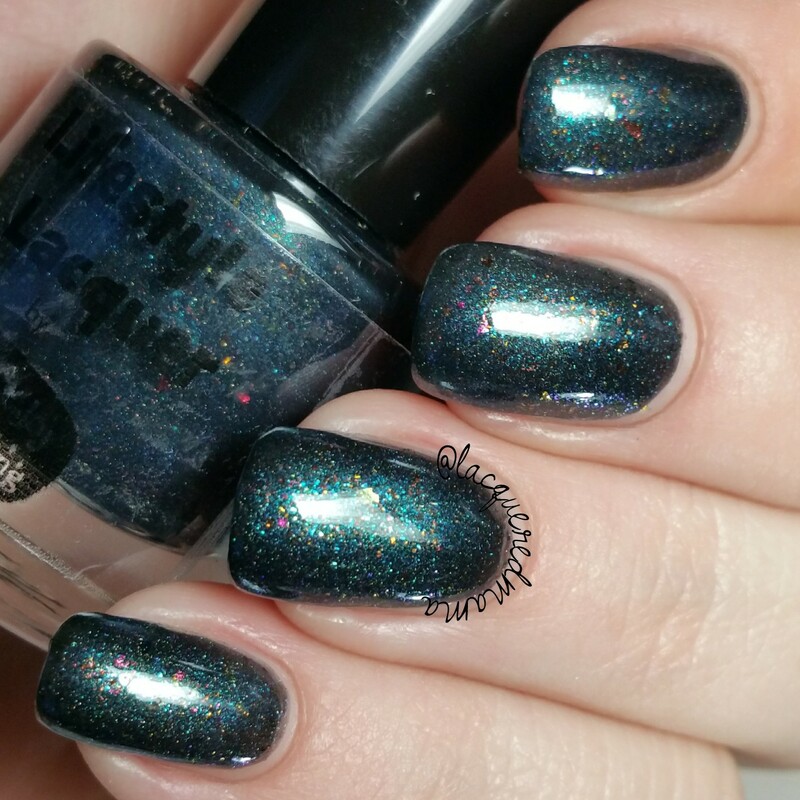 Muse is a really cool polish as it can be worn alone or as a topper. Hillary originally made this to compliment Mya. While that does look amazing, I decided to see how it would look over black and I love it! Here I did one coat over Vapid's Pessimist (index and ring finger) and three coats alone (middle and pinky). I really loved it both ways. 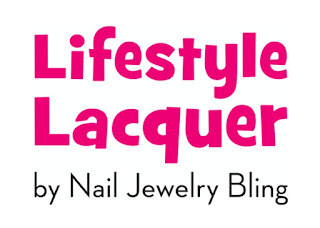 The New Beginnings Collection will be available in Lifestyle Lacquers' shop on January 22nd! 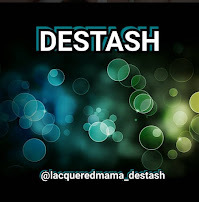 Be sure to follow them for exact release time! This is a debut collection? Holy cow, it's amazing! I love the versatility in it, and they all look fab on you. wow, this is a helluva way to start! This is a brand new indie?! My bet is she'll be huge within a year. That is a crazy debut collection! I'm loving a some of these! Good for her for branching out. 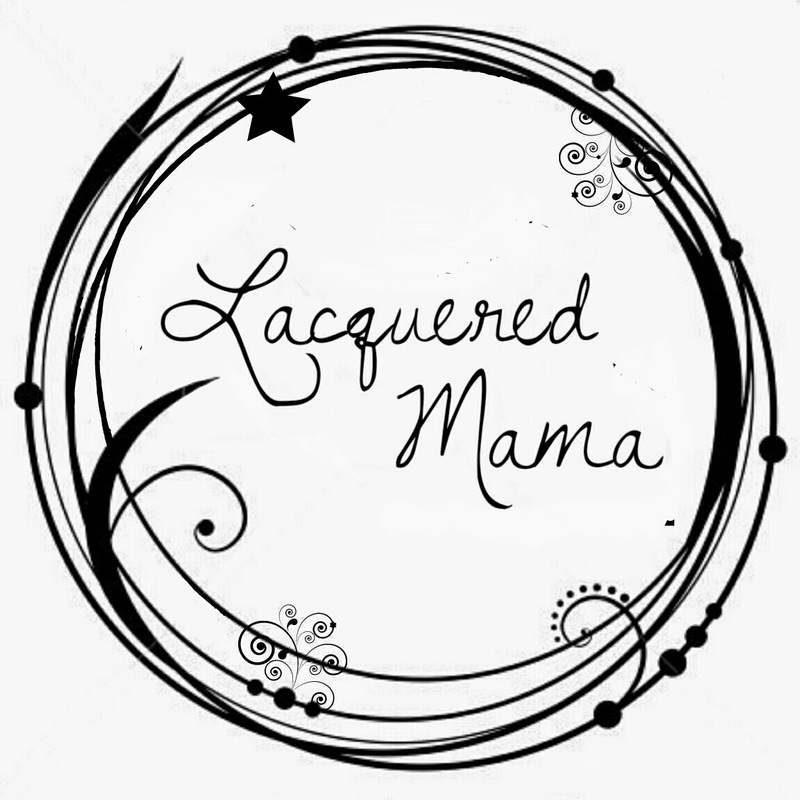 I love that she branched out too! 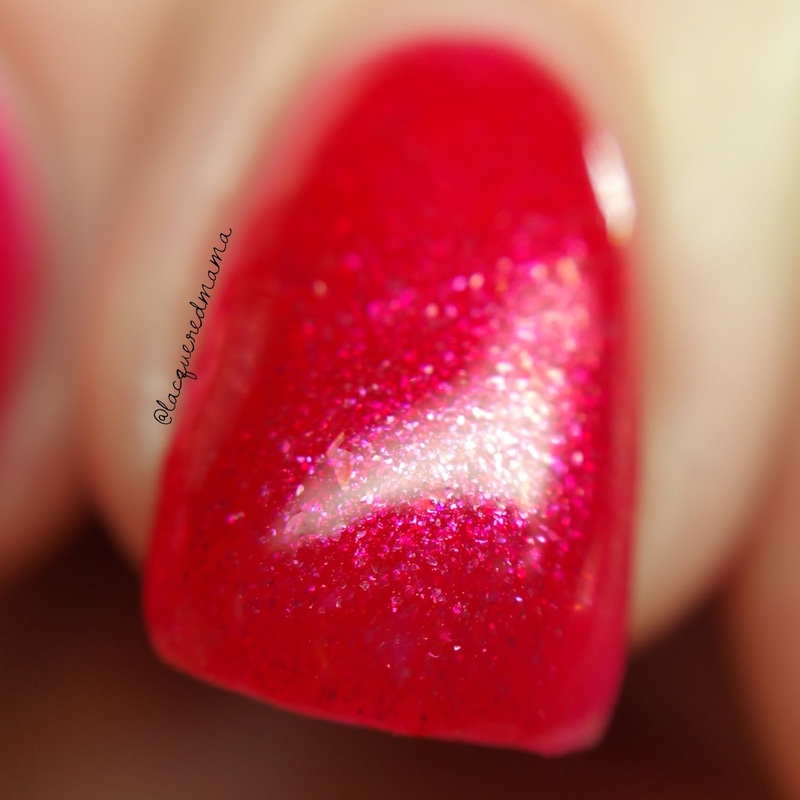 Especially because the polishes are awesome! What an amazing first collection! I feel pretty is lovely. 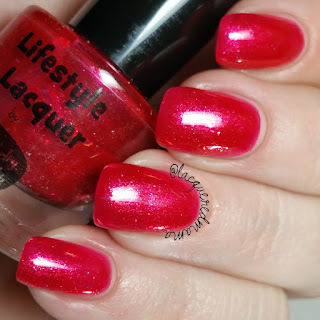 It is a lovely shade!